The QGIS GRASS plugin was used to import 5 meter contours of the whole region into GRASS which were then converted into a contour raster map using r.surf.contour. 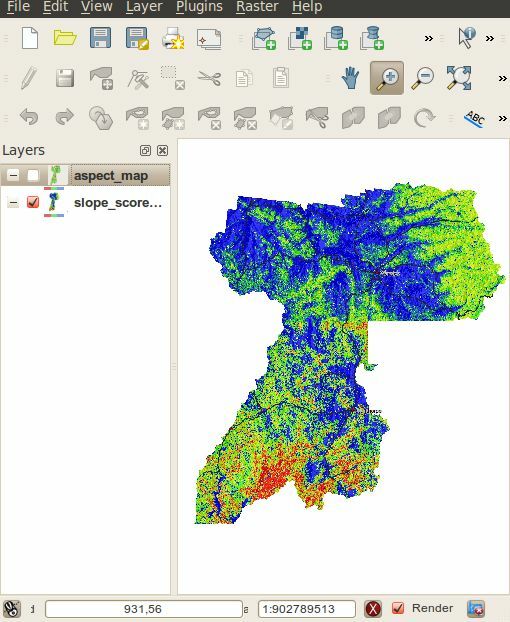 A slope and aspect map were then generated using r.slope.aspect from the raster contour map. Categories were assigned to different slope and aspect ranges and given a hazard risk sore. 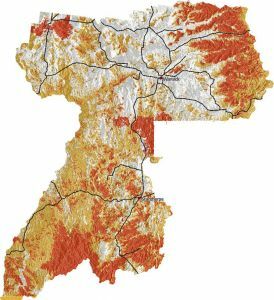 Vegetation areas were also given different risk scores. All the resulting raster maps were then combined using mapcalc and given a final risk hazard score. The risk scores are then divided into three main categories: high; medium; and low.